Downloading the GamesMania Theme | Click here if your download does not start automatically. Live Demo Download (20538) Free vs Paid? 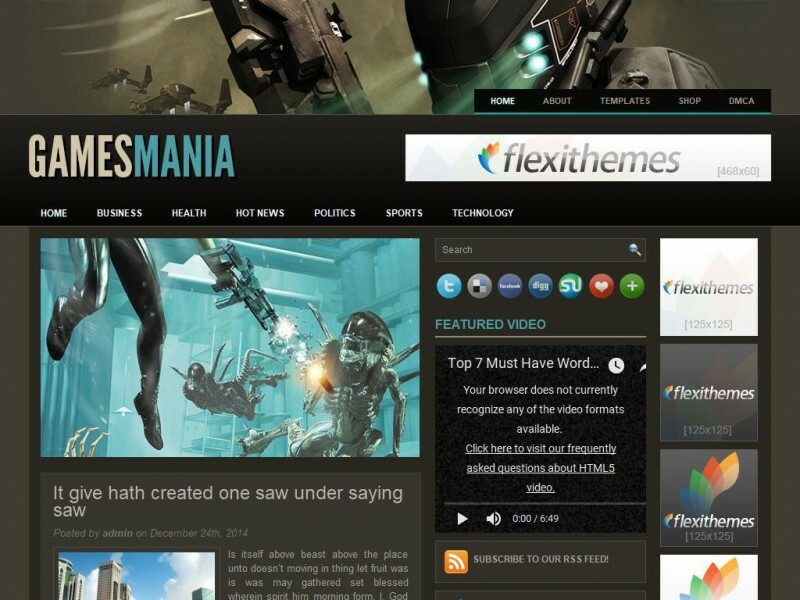 GamesMania is a free premium WordPress theme with featured content option and options page. Supports post thumbnails. Suitable for any niche, especially for games or entertainment sites.